What would you feel like if, upon waking up, you realized that you are not able to remember your name, age, the place where you live, and whether you are married or not? How would you react if you, all of a sudden, woke up to distorted memories and confusion? Even the mere thought of such a situation sends shivers down one’s spine and why shouldn’t it? After all, what are we without our memories? This is the kind of situation patients with dementia face every single day for the rest of their lives. Sadly, their condition exacerbates with each passing day. Besides deterioration in health, the disorder also brings about severe bouts of anger and frustration in the patient. Dementia is the deterioration of brain cells that adversely affects memory, cognition, language, and one’s ability to do daily activities. Dementia is less common in individuals below 60 and the chances of having it veritably increases after one crosses 65 years of age. Approximately 7% adults over 60 years have dementia. The number increases to 30% after the age of 85 years. Vascular dementia is caused by mini strokes that occur due to blocked blood vessels which prevent the brain from getting the required amount of oxygen to survive. Blockages in blood vessels occur as one ages and its likelihood also depend on the individual’s lifestyle as well as other factors such as genes, other illnesses, etc. However, it is safe to assume that as one ages, their blood vessels tend to get blocked, putting them at a higher risk of stroke and hence dementia. Diabetes is being researched as one of the leading causes of dementia. Particularly, Type B diabetes is a major cause of dementia as it leads to heart problems that in turn cause strokes and eventually vascular dementia. Over time, high blood pressure can cause a thinning of the blood vessels in your brain. Subsequently, the risk of the blood vessel bursting or getting blocked increases. Either way, the person then is at a high risk of a stroke that can eventually lead to vascular dementia. Parkinson’s disease is a movement disorder. 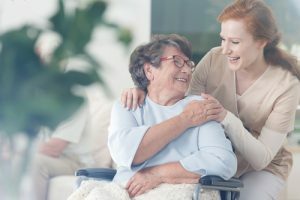 Although Parkinson’s disease patients often develop inabilities similar to dementia, the exact link between the two conditions is still unclear. However, both conditions occur due to the degeneration of nerve cells and often occur together in older adults. Head trauma is another cause of dementia. Although anyone can experience a head trauma through an accident, older adults are at a higher risk of it. This is due to their poor eyesight, weak bones and failing body which causes them to slip more frequently in bathrooms and even in their houses or lose control of their cars. A head trauma can result in dementia even years after the injury has occurred. Infections, vitamin deficiencies, thyroid, etc., can also cause or increase the risk of dementia. 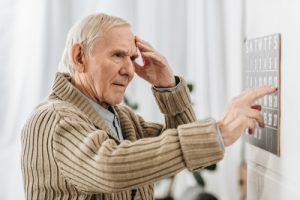 Moreover, older adults with dementia may develop conditions such as hearing problems, weak eyesight, paralysis, loss of bowel and bladder control, malnutrition, osteoporosis, anxiety, agitation, etc. All these health issues make the elderly vulnerable to mistreatment and a poor standard of living. Early intervention and treatment can slow its progress, but a full cure hasn’t been developed yet. Dementia is a chronic progressive condition that worsens with time. Hence, medications are only able to reduce the speed of cell degeneration and cannot prevent or cure it. Moreover, older adults who have other health conditions often face a conflict of medicines. A medicine that can help with osteoporosis may cause disturbing gastric issues. Similarly, most medicines will make one condition better but affect the other condition negatively. Now, the question is what can be done for these individuals, who have been robbed of a high quality of life, to make them live their remaining life with as much comfort and respect as possible; and how can they get the best treatment possible? A more pertinent question that needs to be answered first is how to prevent or reduce the percentage of people being affected by dementia every year? Although research on dementia is progressing, an exact cause of the condition and how to prevent it has not yet been unearthed. Nevertheless, early identification is necessary so as to maximize the impact of medicines. However, mostly people come or are brought to physicians when the condition has advanced significantly. The first step to identifying dementia is awareness. People should know its symptoms so diagnoses isn’t delayed. Additionally, if you or a loved one is having memory or cognitive problems, take the sage test’s online version Brain Test for an assessment. The test results can be analyzed by a physician who can then guide you on whether or not further tests are required. Physicians should be careful with blood pressure patients and give them medicines that reduce the chances of strokes and heart attacks. 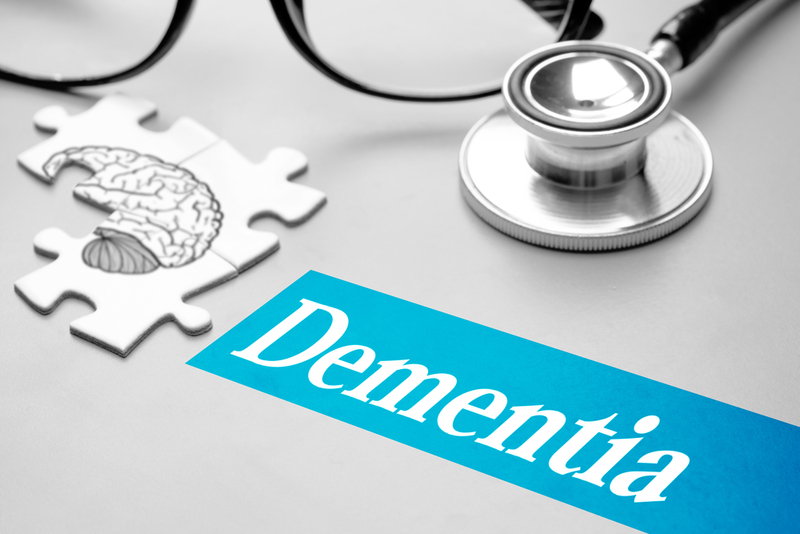 Instead of only relying on medicines, physicians should provide behavioral approaches to treat symptoms of dementia. For instance, instead of prescribing sedating medicines to keep patient’s agitation at bay, physicians should emphasize on meditation or a simple hobby to calm down their patient’s increasing frustration. Ensure levels of calcium, vitamin D, and vitamin B12 are at optimum levels and give medications if necessary to prevent deficiencies. Design a diet rich in brain sharpening foods such as berries, avocado, nuts, fish, etc. should be taken. Keep a check on how one medication may affect/ aggravate another condition that a patient may have. The good news is that people who opt for a healthy lifestyle, switch from junk food to healthy brain sharpening foods and exercise regularly experience a decrease in dementia risks. Hence, it shows that dementia may be prevented to some extent with lifestyle change.